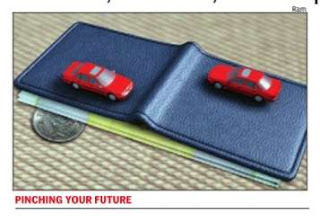 Your retirement savings from the next financial year will face taxes.The government on Monday changed the tax policy for employees' provident fund (EPF) contributions from April by restricting tax free withdrawals to 40% of the corpus and mandating that the remaining amount would be taxed unless it was used to buy annuities. In addition, employer's contribution of over Rs 1.5 lakh would also be ineligible for tax breaks. The new regime on withdrawals will not apply to those earning Rs 15,000 and below who have to be statutorily part of EPF. The move was aimed at bringing parity between statutory provident fund contributions and the National Pension System (NPS), which has failed to take off due to the tax advantage enjoyed by EPF. An additional benefit of Rs 50,000 a year is available for investment in NPS.